This work was previously self-pubbed by me in Dec. 2012 in an .. umm… somewhat rougher and chaotically rambling form. 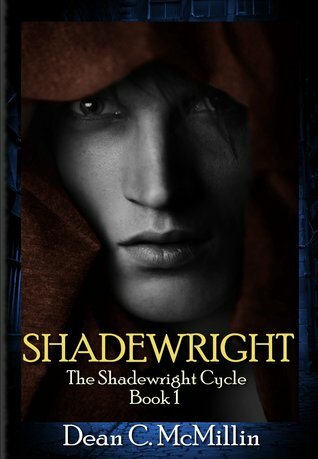 It was then called Shadewright Cycle and I used Dean C. McMillin, my legal name, as my author name. The original versions sold pretty poorly after the first week or two and I had honestly thought they had been forgotten (for 2 years I sold perhaps 1 copy a month of Shadowslave and/or Shadewright until I finally removed the books to end the misery). I was naive and it was poor reader support, I know, and after getting some angry questions from readers of the prior version I am hoping to win their understanding on this issue. I am working on the 2nd Book now… It will be 90% all new material. And the small amt. of recycled stuff is being heavily re-written due to plot and character changes (the Miss Jenma seduction of Phantist scene will be in there, but the outcome is very different now). The very rough version of the older book(s) ended in a place where I was extremely dissatisfied with the direction of the story, and that’s being fixed. Some old plot elements like shadowslave and shadow ichor may never return… The whole mythology has been strengthened and simplified a bit.